The Friars are bringing up the rear in the National League West, and it looks like it will remain that way until the season concludes. 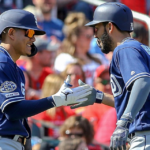 Not all is lost however, as the following five aspects of the 2018 season have stood out as positives in an otherwise-underwhelming season. Let’s start with the most obvious bright spot. The Padres’ bullpen is a legitimate top-10 group in all of Major League Baseball—San Diego currently ranks 10th in bullpen ERA, third in bullpen innings pitched, second in bullpen strikeouts and eighth-best in bullpen walks allowed. 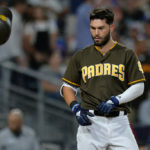 Brad Hand was named a National League All-Star for the second consecutive season on Sunday, and an argument can certainly be made that he isn’t even the best the Padres’ bullpen has to offer. Kirby Yates has been absolutely dominant, allowing just six runs in 35.1 innings—good for a 1.53 ERA. 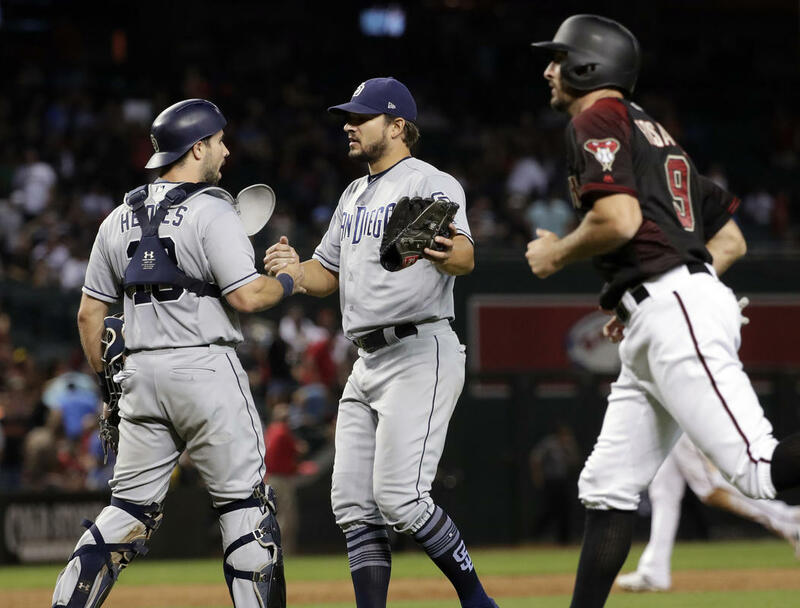 Adam Cimber (3.25 ERA), Craig Stammen (2.72 ERA) and Matt Strahm (2.67 ERA) have all been fantastic as well, giving Andy Green five top-end options to call on in close ballgames. One last note on the ‘pen: I would be remiss not to mention the so-called “bullpen games” that have been utilized on several occasions. Although used more out of necessity due to injuries than anything else, they have gone much better than most people probably expected. 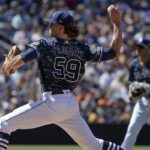 It is not a sustainable long-term solution, but it does speak to how well the Padres’ bullpen has pitched this season. Admittedly, this portion of the article probably would have been a bit more convincing if it were written prior to Saturday’s game, in which Tyson Ross was thoroughly roughed up to the tune of eight runs and seven hits in just two innings. Regardless, Ross has been one of the most pleasant surprises of the 2018 campaign, having rebounded from a shoulder surgery for thoracic outlet syndrome in 2016 and a double-digit ERA for the Texas Rangers in 2017. 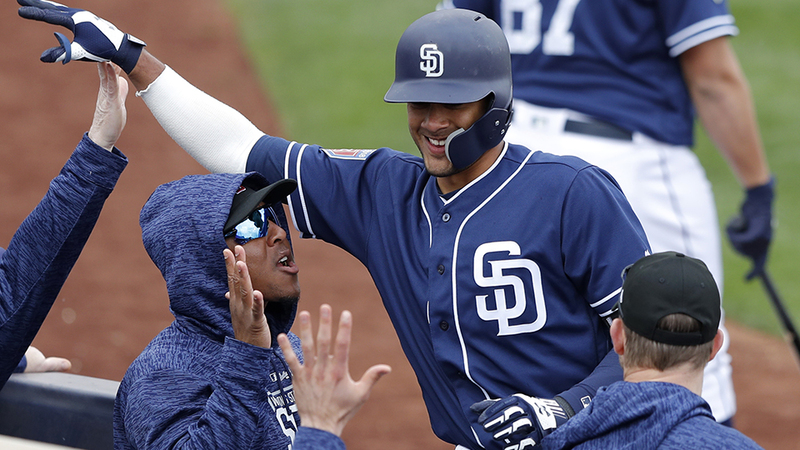 He’s been one of the Padres most consistent and more importantly, available, starters, something that few saw coming in March. It remains to be seen if he will survive the trade deadline, but he has provided expectation-exceeding value to the franchise either way. I’ll preface this section by stating that the term “progress” is being used here within the context of the 2018 season only. This is not relative to offseason expectations. Let’s start with Hunter Renfroe. I first noticed a major adjustment in Renfroe’s pre-pitch approach on June 4 in a game vs. Atlanta. He opened his stance significantly and shortened his leg kick against right-handed pitchers in an effort to see the ball better out of the hand. Interestingly, he kept his closed stance and prominent leg kick against lefties. Ever since this adjustment, I’ve been following his production closely to see the returns of his adjustments. His strikeout rate in June fell to 24% from its previous mark of 28% in March/April (he only played three games in May, going 4-for-8 with three RBI), and he slashed .259/.326/.432 compared to .200/.281/.440. 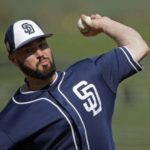 He has struggled in June, but, as it goes in baseball, that is likely just opposing pitchers adjusting to Renfroe’s adjustments. It’ll be interesting to see how Renfroe adjusts to the adjustments to his adjustments—if that makes sense. Next up: Manuel Margot. It’s no secret that he got off to an abysmal start, probably due in part to a fastball to the ribs and subsequent DL stint in early April. 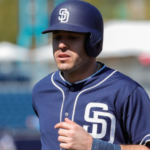 In the last 30 days, however, he has slashed .298/.371/.452 and in all honestly has probably been the Padres’ best position player. He has the potential to be a true two-way star in this league, and his production is starting catch up to his talent. Weird baserunning miscues aside, Margot’s status as a franchise cornerstone moving forward has not budged. Shoutout to Carlos Asuaje. He was one of the few bright spots in 2017 and was the clear-cut number one option at second base to begin 2018. Unfortunately, his bat failed to get going and he was optioned to Triple-A El Paso on May 15. He played well in his time in El Paso and earned a recall to the bigs on July 1. Since then, he’s been swinging a hot stick and more importantly, has been an on-base machine. He’s hit an even .300 with a .440 (!) on-base percentage since returning to San Diego. I know most Padres’ fans are looking ahead to the days of Luis Urias manning second, but Carlos Asuaje deserves our respect. He’s a really solid ballplayer who can bring a lot to a winning club. 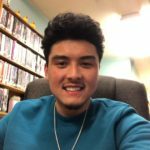 The last young guy I’ll mention, albeit for different reasons, is Christian Villanueva. And I know what you’re thinking—his offensive production has been going in the wrong direction ever since his electric April. Instead I want to focus on his defense at third base. Villanueva appeared borderline-unplayable at times earlier in the season due to his erratic defense. He undoubtedly had a case of the yips, which can be very difficult to work through. Credit to Villanueva, though, because he has seemingly turned the corner defensively. I’ve mentioned this infield philosophy in previous articles, but it absolutely applies to Villanueva as of late: “Good infielders make all the plays they’re supposed to make. Great infielders make all the plays they’re supposed to make and some plays they probably shouldn’t make.” It’s a minor miracle considering where he was just a few short months ago, but Villanueva now absolutely fits this bill. MLB Pipeline’s number-one ranked farm system, and the light at the end of the tunnel for the Friar faithful, has unquestionably lived up to the hype thus far. Number three overall prospect Fernando Tatis Jr. (#1) has gone absolutely bonkers recently, raising his average all the way up to .291, to go along with 15 HR, 42 RBI and 14 SB. Per Dennis Lin of The Athletic, Tatis Jr. is the first 19-year-old to hit 15 HR in the Texas League since the late, great Oscar Taveras in 2012. Luis Urias (#3) has rebounded from a recent slump nicely and remains a strong candidate for a September call-up. Michel Baez (#5), Adrian Morejon (#6), Logan Allen (#9), Jacob Nix (#12) and Luis Patiño (#24) have all thrown the ball extremely well in 2018 for their respective Minor League clubs. Mackenzie Gore (#2) is back on the hill after a peculiar blister situation, and Anderson Espinoza (#7) could potentially return to the mound later this year after his near-two-year recovery from Tommy John, assuming his rehab goes as planned. 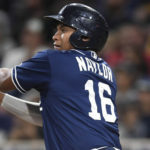 Texas League all-star Josh Naylor (#14), Jeisson Rosario (#17) and Austin Allen (#27) come to mind as position-player standouts, although there are certainly other high-potential guys still looking to hit their stride. And then there’s Chris Paddack (#8). I don’t mean to bury the lead here, but Chris Paddack is, in my mind, the most underrated prospect in all of baseball. He was virtually untouchable in High-A Lake Elsinore, striking out 83 batters and walking only four. Yes, you read that right—83 strikeouts and four walks. In case you are for whatever reason unfamiliar with K/BB ratio, that is absolutely absurd. He was recently called up to Double-A San Antonio, where he proceeded to toss six innings of one-hit ball in a Missions victory. Paddack being ranked as the eighth-best Padres prospect speaks to just how deep this farm system is. There has been some skepticism among the San Diego sports media about Don and Mark’s lighthearted nature in the booth, presumably because the backdrop to their lightheartedness has often been losing baseball. I’m not going to name the source, but if you look hard enough, I’m sure you can find it. Anyway, I feel like I need to stick up for my guys here. Mark Grant has been the television voice of Padres baseball for as long as I’ve been around, and I honestly can’t imagine a season of Padres broadcasts without him. I may be biased, but I think he’s the best color commentator in the business. Don Orsillo has been an incredible addition to the booth following his long tenure in Boston. 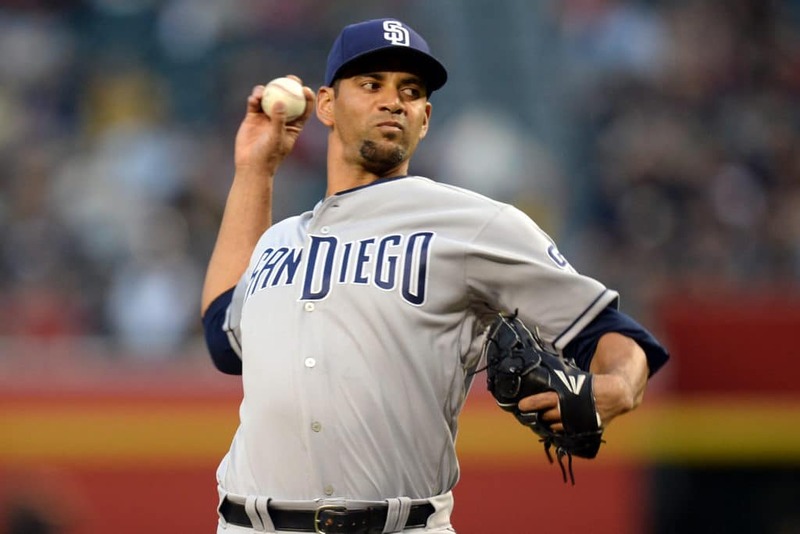 He is still beloved to this day by Red Sox fans everywhere, which I think is a testament to how lucky we are to be able to call him a member of the Padres family. 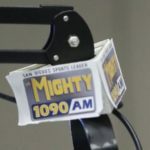 Don and Mark’s chemistry on-air is detectible immediately, and they have quite often made me look forward to watching otherwise-unwatchable baseball games. They are not coaches. It is not their job to chew out the team on-air. If you have a problem with the way Don and Mark call games, just watch the game on mute. I really don’t know what else to tell you. I’m not a Padres fan, but I caught a few innings of Padres ball earlier in the season and I like Don and Mark. They had a good joking nature about em and added some good commentary, what’s not to like? If they do anything to Don and Mud, I will be overly pissed. They make the broadcasts fun and lighthearted. Love ’em. Cuidado! I admire your intention of staying positive, but I find it hard to agree. In the pen, look for Hand, Stammen and Yates to all be dealt. Not exactly turning into a building block for the next good team. Ross is definitely a feel good comeback story, although he too will be dealt. The young kids. Hmm, better to wait until season’s end to grade them out. 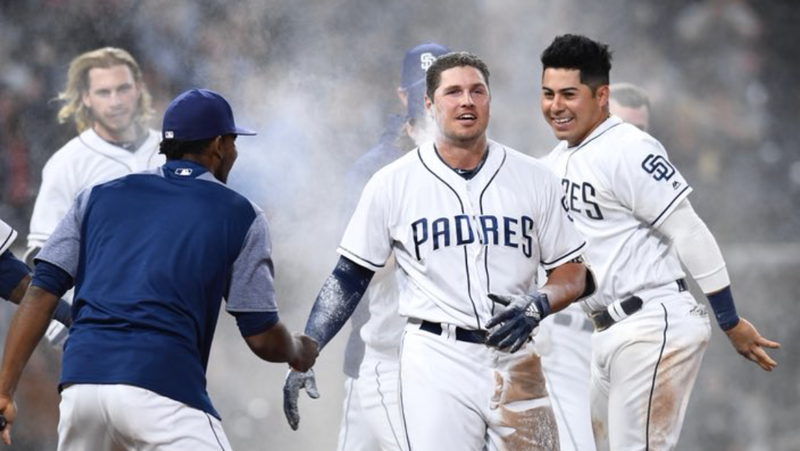 A hot month for Renfroe, or anyone else, means almost nothing in the long term. And I simply don’t agree with your assessment of Villanueva. Perhaps he’s been better in the field, but I don’t see a major leaguer when I look at him. Already 27 (soon), out of shape, and bad plate approach. Down on the farm there is still reason for optimism, as you pointed out. We’re still on track for our next playoff team to be: C Hedges, 1B Hosmer, 2B Urias, SS Tatis, 3B ?, LF Myers, CF Margot, RF Cordero. But truly, that doesn’t look like a playoff team. Hedges hasn’t developed into any kind of a hitter yet (but might), Hosmer is a dud, and the others are all works in progress, even Myers. It would be easier to be optimistic if we could have confidence in Preller, but all of his big moves (signing Hosmer, extending Myers, trades for Shields, Kemp, etc.) have been stinkers. Bet Dave Cameron is drinking out of the bottle already. Hopefully Urias will be up shortly after the all star break. Asuaje can platoon with Villanueva at 3B. I agree on the bullpen but not yet ready to buy in on the position players mentioned. That section wasn’t meant to convince anyone to “buy in” to the young position players, necessarily. I just thought it was important to point out the improvements they’ve made as the season has gone along. You did a good job here focusing on the positive! I would also include Joey Lucchesi, he shows a lot of potential as a #4 starter. Lauer has also improved after a bad start. I can’t think of the last time we’ve had two draft picks reach the starting rotation this quickly. Thank you, Roddy. You make a good point regarding Lucchesi and Lauer. Lauer, especially, has grown a ton since his rough start and in all honesty probably should have been mentioned in this article. I can see them both being back-end guys in a rotation for a postseason team.